← Can a Healthy Lifestyle Reverse Chronic Low-Grade Inflammation? If you’re a woman over age 50 who believes you would easily recognize the symptoms of a heart attack, read on. Certainly, there are risk factors for heart disease common to both men and women that include family history, obesity, diabetes, high blood pressure, metabolic syndrome and smoking. Both genders share some recognizable “classic symptoms” such as upper body pain or breaking out in a cold sweat. 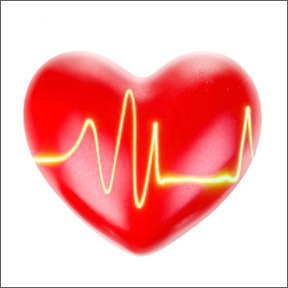 However, heart attack warning signals are not always clear cut and every heart incident is unique. Women often experience subtle symptoms, such as shortness of breath or stomach pain, that may be easily ignored or shrugged off as normal signs of aging or an illness. Statistics show that only 65 percent of women would call for help immediately if they suspected they were having a heart attack. Minutes count when it comes to life-saving intervention and improved chances for a complete recovery. Failure to acknowledge and address the warning signs of an impending heart attack can be especially dangerous for women, as women’s heart attacks are more likely to result in fatality, if not immediately, within the year following. Statistics show that early heart attack symptoms occur in 50 percent of all people who have a heart attack. Additionally, women are more likely to have a silent heart attack, which has no overt symptoms, but can cause heart damage and increase the risk of future attacks. Early warning symptoms of an impending heart attack can include intermittent mild chest pain or discomfort, nausea, lightheadedness, shortness of breath, sweating or severe anxiety. In hindsight, after a heart incident, many women report experiencing symptoms in the weeks or months prior. Although some heart attacks are sudden and intense, many start slowly with mild discomfort. Unusual fatigue: For many busy women, feeling tired most of the time is not abnormal. However, if fatigue becomes dramatic wherein normal activity leaves you exhausted; or your chest has a feeling of heaviness; and your sleep is disturbed, it can be cause for serious concern. Sweating and/or shortness of breath: Whether or not these symptoms are accompanied by chest pain, they can signal a heart problem. Watch for sudden sweating or breathlessness without exertion, a cold, clammy feeling, or shortness of breath that worsens when lying down and improves when getting up. Neck, jaw and back pain: Though most associate heart incidents with chest pain, women, in particular, may experience pain in either arm, the lower or upper back, or the left lower side of the jaw. Nausea/vomiting: Women are more likely to experience nausea, vomiting, indigestion, acid reflux, lightheadedness, or fainting. Risk factors that relate specifically to women include increasing hypertension during menopause, autoimmune disease such as rheumatoid arthritis, stress, and depression. Best advice, listen to your body. Having an awareness of symptoms unique to women and taking steps to address them can lower the risk of severe heart damage from a heart attack. To support overall wellbeing, work to lower controllable risk factors. These include avoidance of smoking, getting regular exercise, consuming a heart-healthy high fiber diet, and consulting with a healthcare provider for a cardiovascular evaluation. Ubiquinol-QH by Douglas Laboratories®: Ubiquinol is the biologically reduced form of CoQ10, which has critical roles in antioxidant, energy and cardiovascular functions. As our ability to convert CoQ10 decreases with age, ubiquinol is ready to be utilized by the body in support of normal aging and cardiovascular health. Gluten, wheat, soy, dairy and yeast free formulation. L-Carnitine by Pure Encapsulations: This highly stabilized from of L-carnitine has been shown to promote oxygenation of the heart muscle, support cardiovascular energy, enhance exercise recovery and maintain healthy lipid metabolism. Gluten and soy free, Non-GMO vegetarian formulation. Cardio Care by Genestra: This unique formulation of CoQ10, magnesium and standardized botanicals is formulated for support of cardiovascular health, muscle function, energy metabolism and antioxidant defense. Gluten and soy free, Non-GMO vegan formulation. Ultra Cardio Pack by Douglas Laboratories®: Individual packets support cardiovascualar health with vitamins, minerals, essential fatty acids, natural CoQ10, L-carnitine, and a proprietary organic fruit and vegetable blend. Soy free. Cardio-Strength by Vetri-Science: This specialty canine and feline formula provides 11 synergistic ingredients that support cardiovascular health and function in geriatric pets and animals with pre-existing, sub-optimal cardiovascular function. Ingredients include L-carnitine, L-taurine, CoQ10, magnesium and essential fatty acids. Veterinarian approved. This entry was posted in Home and tagged Cardio Care by Genestra, Cardio-Strength™ by Vetri-Science, jaw and back pain, L-Carnitine by Pure Encapsulations, Listen to Your Heart, Nausea/vomiting, Neck, Sweating and/or shortness of breath, Ubiquinol-QH by Douglas Laboratories, Ultra Cardio Pack by Douglas Laboratories, Unusual fatigue. Bookmark the permalink.